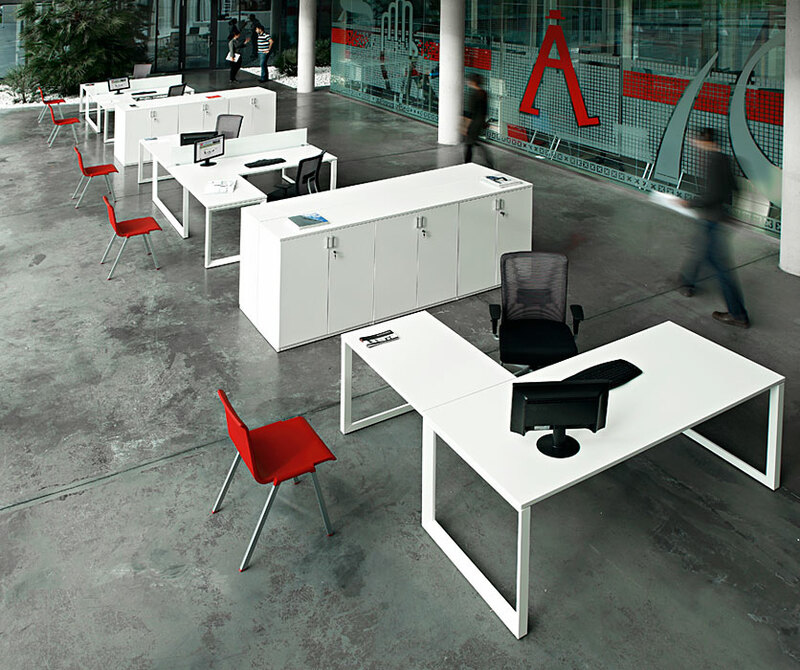 MAX was created by the modern office need for a healthy and active work environment. 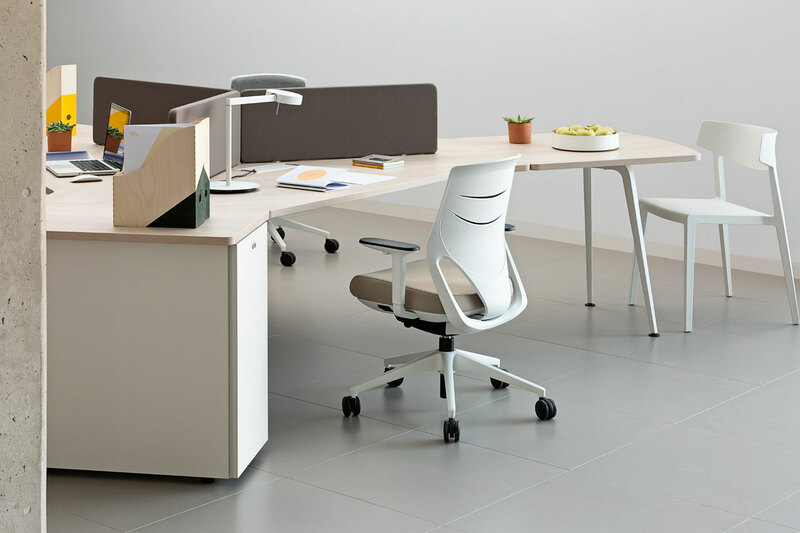 MAX facilitates healthy and dynamic working by easily transforming form a comfortable traditional sit down desk to an active standing workstation. 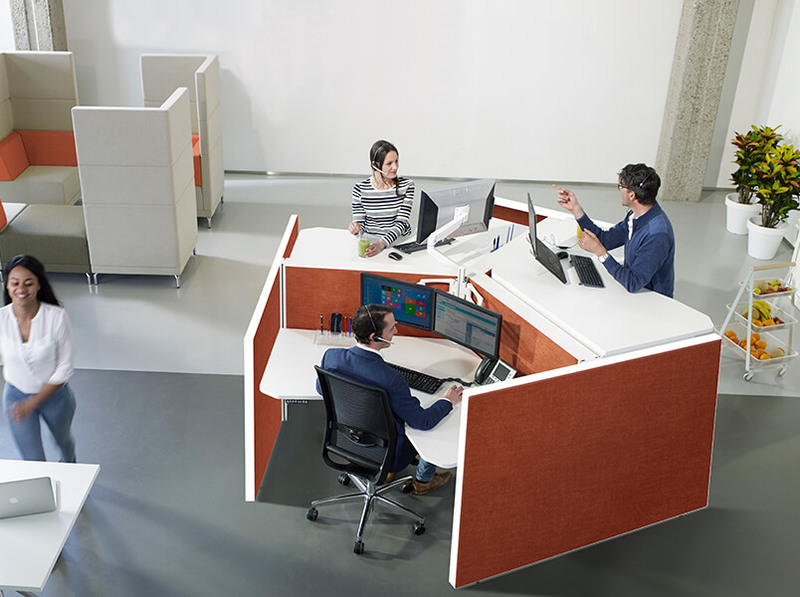 The quick transformation takes seconds to achieve and significantly decreases the number of sitting hours in the office directly reducing the risk of major health issues associated with prolonged sitting. 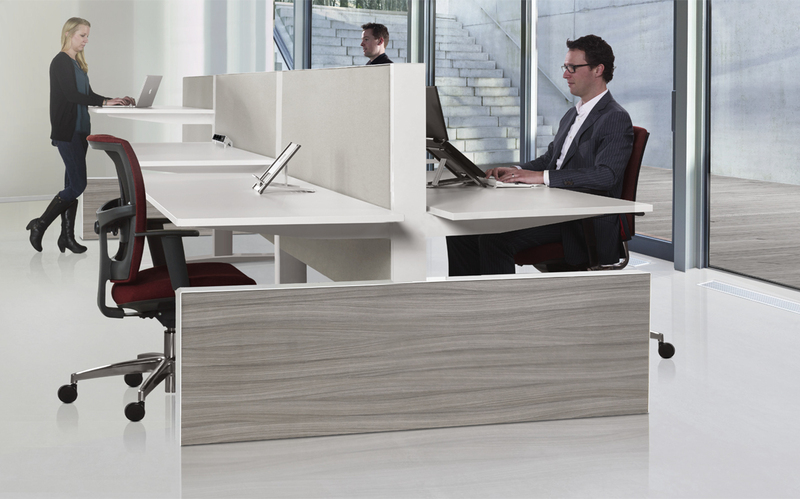 The MAX system does all of this with elegant style and aplomb. 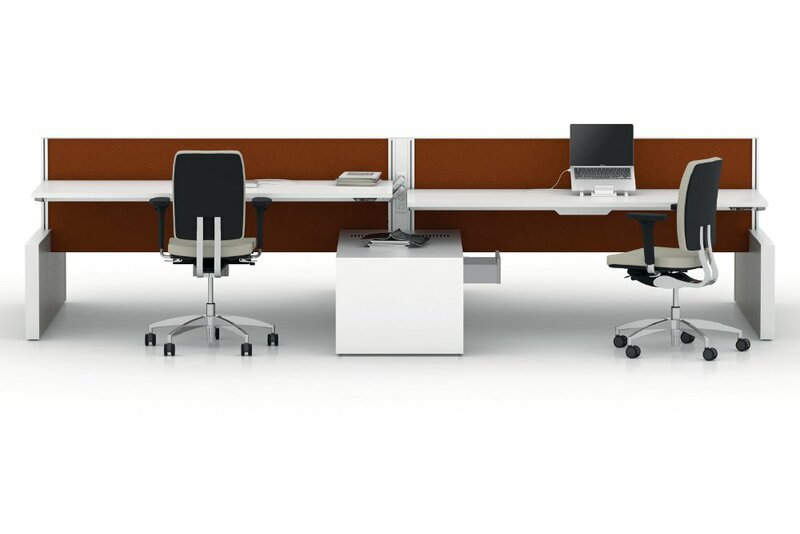 The design lends itself to a myriad of configurations and an almost limitless choice of finishes to suit every client. The many functional accessories complete a system which is second to none. Available as a panel, cabinet or T-Leg range. 120° wing configurations also now available. 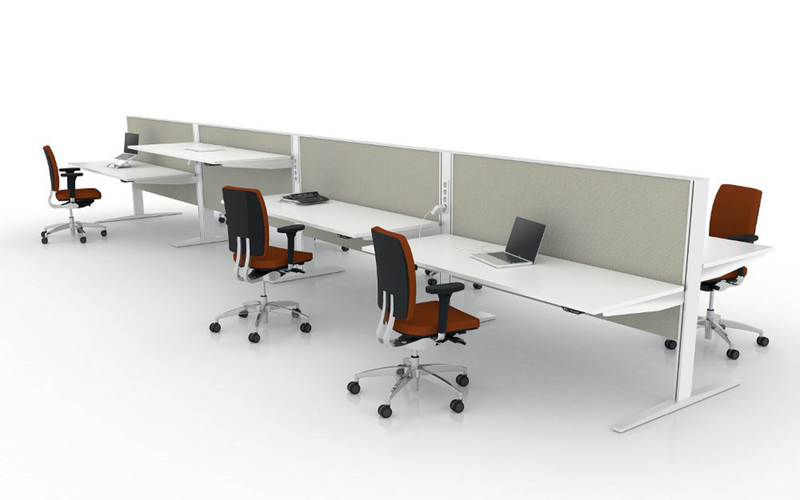 Cabinet range is manufactured with integrated storage if desired. Option of fully integrated power supply points and wiring. Available in a range of decorative wood finishes, fabric colours and patterns. The MAX system is adjustable from 650mm to 1280mm and the motor allows for a speed for 5mm mm per second. All cables are fed through passages in the partitioning and along with the adjustment mechanism all are completely concealed. Data and power cable seperation. 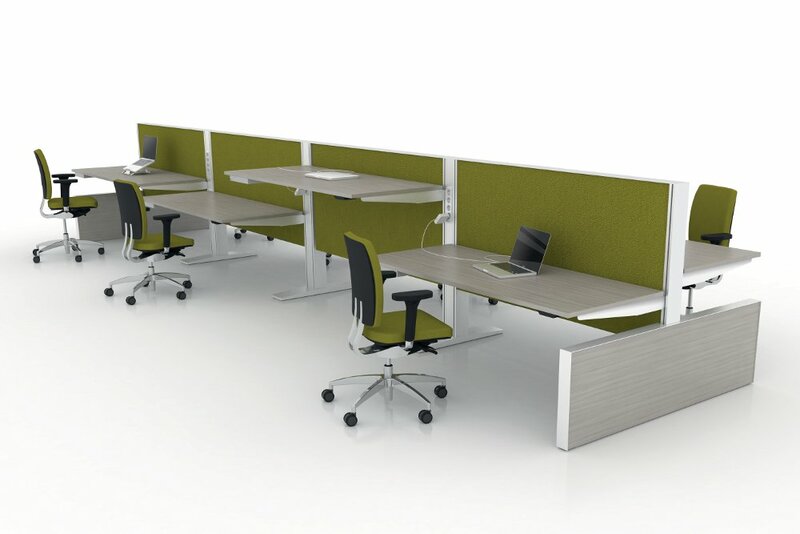 Fabric covered panels for visual and acoustic seperation with high sound absorption due to a 10mm thick foam layer.